Enhance the performance of your Saab 9-3 with a Do88 Big Pack Intercooler Kit. BIG-110 is designed to work on 2006-2011 Saab 9-3 2.8T models. 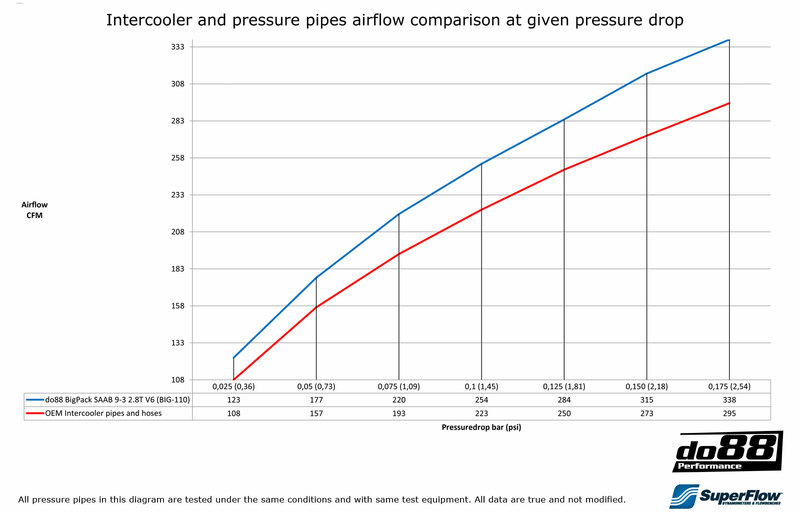 Turbo vehicles utilize an intercooler to keep the charge air temps down. This translates to better performance. If you are trying to get the most out of your vehicle, an upgraded intercooler is what you need. This intercooler is developed to give the best performance with minimal modification. 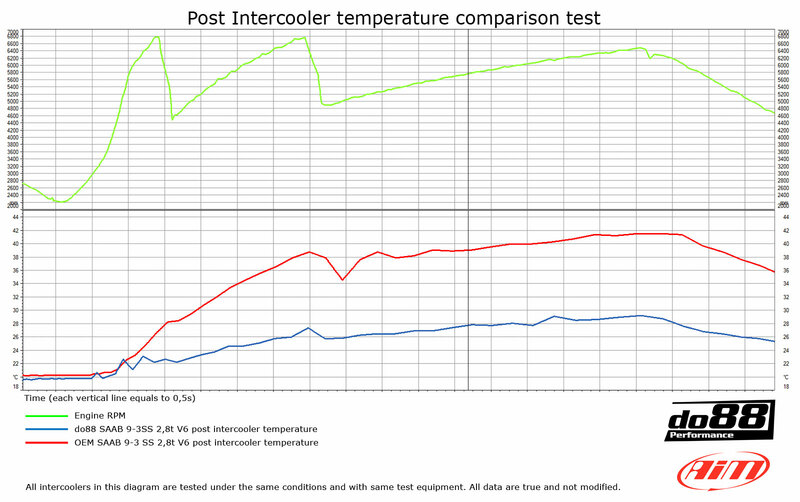 The Do88 Intercooler has 78% more volume and flows 15% more air versus the factory intercooler. The end-tanks on this intercooler are designed with CAD software with the aim to create the best possible end-tank that distributes the the airflow over the entire core to maximize cooling while minimizing pressure drop. The Big Pack Intercooler Kit contains all brackets and mounting hardware needed for an effortless install. Also included is a full reverse intercooler piping kit from the turbo compressor outlet to the throttle body. OEM Intercooler Part Number Reference:12800599, 13247382, 12790720, 12790723.